An eighteen-year-old man who is an assistant to Hime Yarizakura. He is an oni with superhuman strength, but wears a seal that looks like a bracelet around his left wrist. He appears to be harsh towards Akina sometimes because in the anime, as he believes that Akina's power is not required to protect the town. 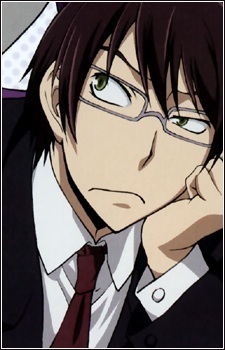 In the anime, he believes that the youkai in the human world are suffering because Akina did not succeed as oyakume. Akina makes fun of him by saying that Kyousuke has a sister complex, which usually ends up with the two fighting.